How do I get more clients in my wedding business? How do I start a wedding venue? What are the latest social media trends for marketing? Have you ever found yourself Googling these questions late into the evening between wedding seasons? Here's the great news my friend: YOU ARE NOT ALONE. All of us in the wedding industry share the same struggles, we all have stories AND the best part is......we all have solutions! 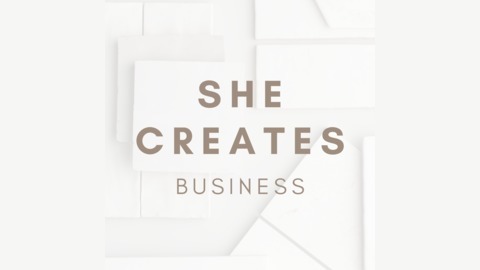 Every Tuesday & Thursday, She Creates Business, a Podcast for Wedding Pros interviews women entrepreneurs in the wedding industry just like you. We share personal journeys, business building strategies, marketing tips and MORE. From wedding planners to florists, from venue owners to calligraphers and beyond, no topic is off limits. Join us for community and conversation! 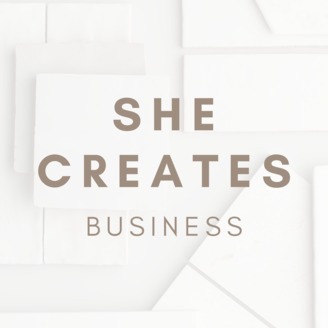 Connect with Kinsey: @shecreatesbusiness www.shecreatesbusinesspodcast.com. Today I'm delighted to welcome Shaunae Teske to the podcast! Shaunae is a wedding photographer who built a sustainable six-figure business in her first three years in business through diligent, consistent WORK. Today she's sharing exactly what she did with us on the podcast to make this happen! Shaunae is an award-winning, destination wedding photographer and small business coach/mentor who has built her business with intentional purpose. She first launched her photography business in 2011 at only 20 years old! She quickly grew it to a sustainable, six-figure business within three years. After eight years as a wedding photographer, she has launched into her new passion - empowering women in business and helping them cultivate intentional lives. She puts her whole heart into everything she does because she truly values people and wants to leave behind a beautiful legacy. When she's not helping others, she's spending time in her home in Wisconsin with her amazing fiancee and three cats. - Client Experience: creating memorable and lasting impressions with your clients that makes them refer you to EVERYONE. - Building relationships: with vendor partners in the industry and helping other vendors grow their business without expecting anything in return (it comes back to you)! - Doing the WORK: nothing comes easy and you have to work hard to build a sustainable business.